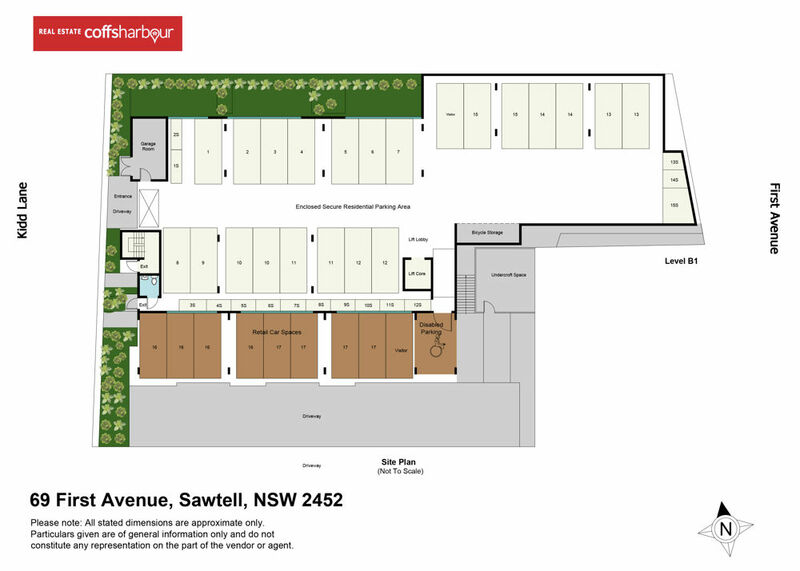 Exclusive Beachside Apartments located in the Heart of Sawtell Village. Imagine the ease of being able to walk to everything within 2 minutes…well dream no more. Construction is mid way through so secure your dream apartment on a 10% deposit with the balance due on completion, estimated to be July 2018. Situated in a super convenient location, this landmark building will be finished to a high standard with quality fixtures, fully ducted air conditioning, secure car parking and secure lift access. Living areas and bedrooms are all on one level so if stairs are a problem – then these apartments are perfect for you. Apartment 12- 69 First Avenue Sawtell has been designed for open plan living with the indoor living areas leading to a covered outdoor balcony, integrating the indoor and outdoor areas seamlessly. Internal/external living area 106m2 plus 2 car spaces and a storage cage. The northern aspect enjoys mountain views and there are raked ceilings and highlight windows to take advantage of the natural light and winter sun. The design incorporates a modern kitchen with stone bench tops, European appliances, master bedroom with BIR and ensuite and bedroom two with BIR, main bathroom, separate laundry & linen cupboard. Your choice of two colour schemes or mix & match from the two. There is easy access to the secure parking off Kidd Lane and once inside, you can access to the lift with your groceries, straight to your apartment. Pedestrian access is straight onto First Avenue where you can pick up the morning paper, grab a coffee or take your morning stroll along Sawtell Beach which is only 130 m from the building. The bus stop is 20 m from the front of the building with regular services to major shopping centres and Coffs Harbour CBD. The airport, hospital and university are only 10 minutes by car. The airport is serviced by 5 airlines with direct flights to Sydney, Melbourne, Brisbane and Newcastle.